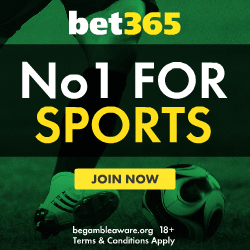 The super heinz is a 7 selection wager consisting of 120 bets: 21 doubles, 35 trebles, 35 four-folds, 21 five-folds, 7 six-folds and a seven-fold accumulator. This is full cover wager with a massive number of bets that should only be considered in rare circumstances and by experienced punters. 120 bets can be an expensive proposition but the winnings can be equally as large. Each of the 7 selections appears in the same number of bets giving equal influence to all. Calculating winnings for such a large bet would be difficult if a super heinz bet calculator where not available. The tool can also be helpful in understanding how different outcomes and odds affect returns. At least 2 selections must win for this wager to generate a return. Super heinz bet calculator - Work out your winnings online with this free odds calculator. What is a heinz bet? - One short of the required 7 selections? Then the heinz is probably what you're looking for. 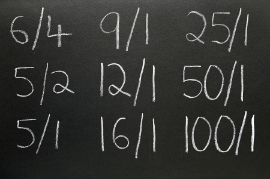 This page outlines the component parts of the wager and explains how the payout is calculated. Consisting of 57 bets on 6 selections, this is still a significant undertaking, despite being smaller than the super heinz. Heinz bet calculator - Use this tool to calculate your returns in an instant by following the intuitive interface. Provides options for each way bets, dead heats and rule 4 deductions. Supporting all major odds formats including decimal, fraction and american odds.